Cross the bridge between biology and chemistry to study the very foundations of life. Make a difference in the fields of medical research, genetic engineering, forensics and many others with a degree in biochemistry. Do you see yourself working as a scientist in a role that makes a real difference? With biochemistry, you can help create safe synthetic drugs, help forensic teams solve crimes through DNA analysis, improve agriculture, develop new and improved diagnostic tests and much more. Study the structure and properties of molecules at the core of life processes. Learn the fundamentals of biochemical principles and practical techniques that you can apply in a wide range of industries, and across many different professions. Alyssa Murray is a fourth-year B.Sc. 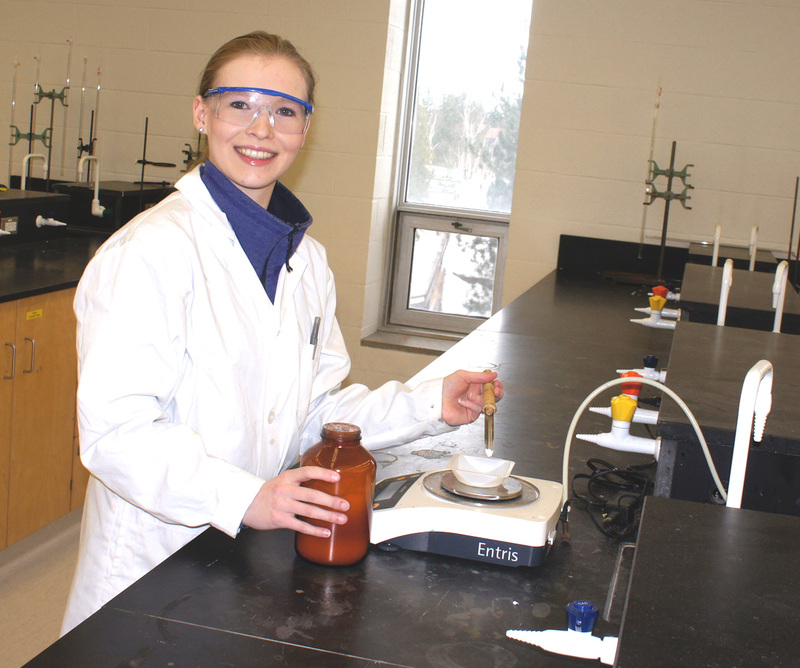 Specialization in Biochemistry Student at Laurentian University. “Throughout my three years at LU, I have really enjoyed my university experience. Being a relatively small university, I equate Laurentian to be a supportive community that encourages one another. Every year I am overwhelmed with how welcoming and helpful all of the students, professors, lab techs and teaching assistants in the Chemistry and Biochemistry Department are. The class sizes in upper years are very small (I currently have a class of 10 people). The impact of class size may not seem like much going into university but the difference in learning between a class of 300 and a class of 10 is enormous. With the smaller classes, you have the opportunity to have one on one interactions with your professor, for them to learn your name and get to know you as both a student and an individual”.